RISEabove Night to Worship featuring Iron Bell Music! 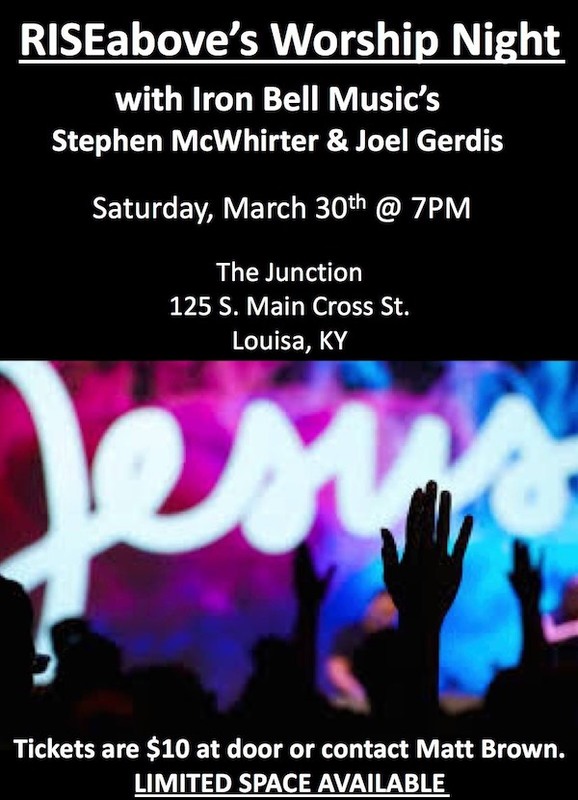 This Saturday night at 7pm at The Junction! Tickets are $10 eachand canbe purchased at Masterpiece Cafe or at the door until they sell out!